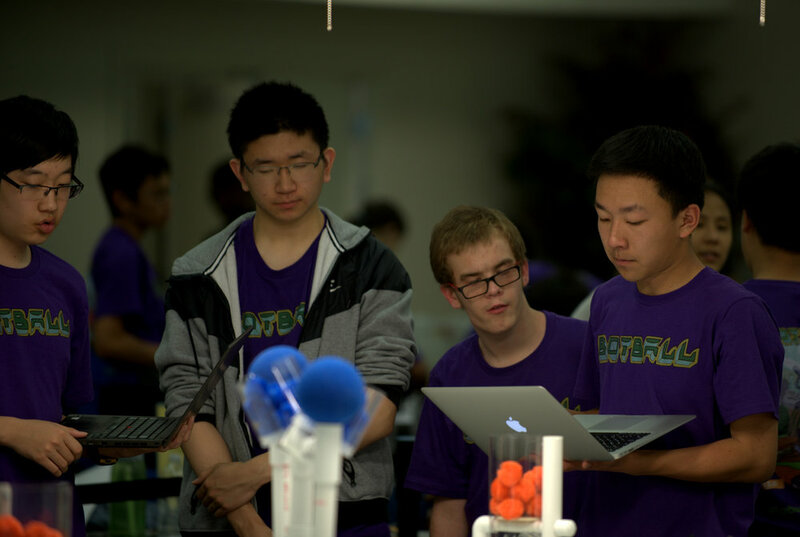 Recently, VI student Brian Aylesworth joined NVoT team member Justin Yu's Los Altos Botball robotics team practice, as well as accompanied them as they pitted their robot against others at a local competition at NASA's Ames Research Center. Brian also gave a speech on behalf of the team at the competition. Pictures of both events are below.